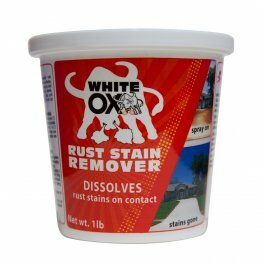 White Ox Well Water Rust Stain Remover and Preventer quickly and safely removes well-water rust stains from most surfaces - No scrubbing neccesary! 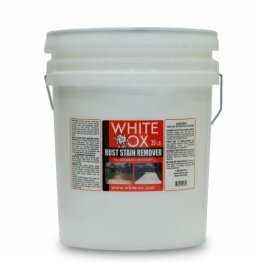 Apply WHITE-OX and watch rust stains disappear! All over the United States businesses and homeowners battle those unsightly rust stains caused by well-water irrigation systems. 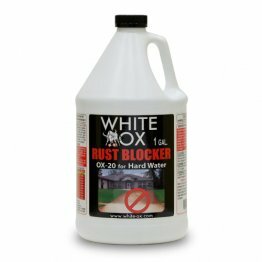 At Pharmco Labs, we have developed and manufactured White-Ox Well Water Rust Stain Remover, an extremely effective solution for getting rid of those ugly reoccurring rust stains. NO SCRUBBING NECESSARY! 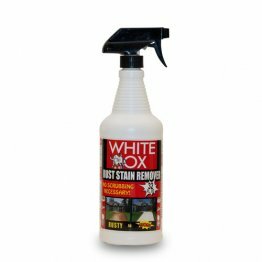 Simply spray on and watch rust stains disappear - It's that easy! 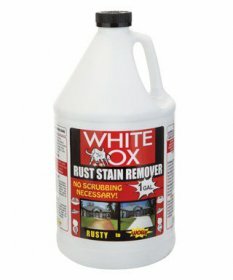 White Ox is available in both crystal and liquid formulas. WHITE OX... 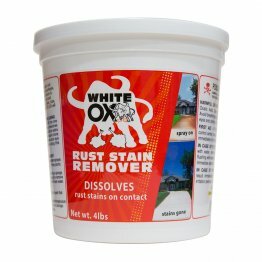 Your Rust Stain Solution!